The Guastavino family and their eponymous structural tile firm created many of the most remarkable vaulted interiors in American architecture. This media piece takes viewers on a tour of a selection of the most spectacular spaces created by the Guastavinos, from museums to cathedrals to train stations. 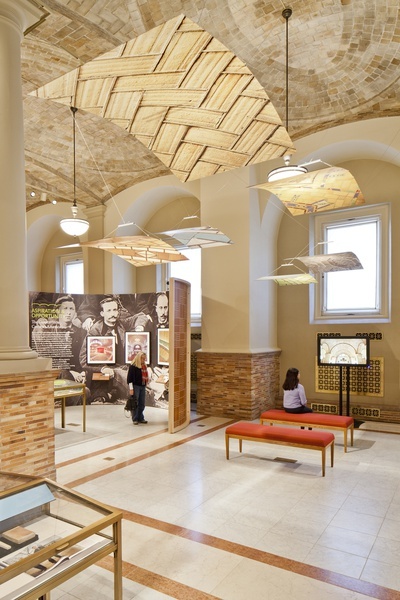 All of the footage in LOOK UP is taken from below, and the color and pattern of the tilework itself becomes the style of an orientation map of the United States that is used repeatedly throughout the program. 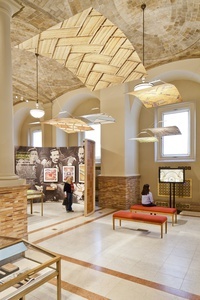 The firm collaborated with Boston Public Libray’s Main Branch, a longtime client, on a comprehensive architectural and social survey of the brilliant architectural creations of the Gustavino company, who applied old-world catalan-tile building methods to some of the grandest interior public spaces, bridges and other architectural masterworks of the Northeast’s urban explosion of the early 20th century. 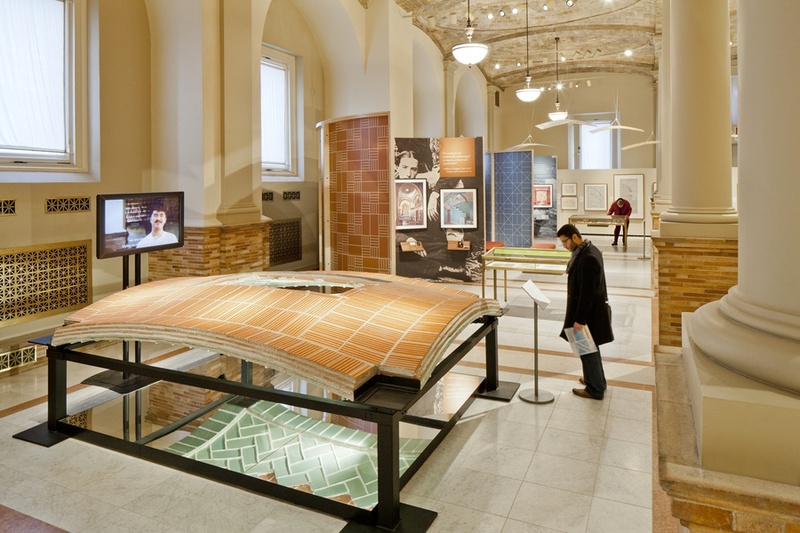 Perhaps most famous for their patented “Tile Arch” system of construction, brought by company founder Rafael Guastavino in the late 19th century, the landmarked interiors in many ways define our concept of grand social spaces in the 20th century. 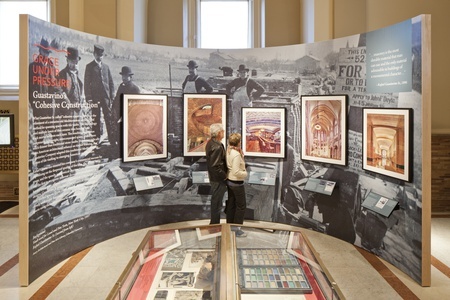 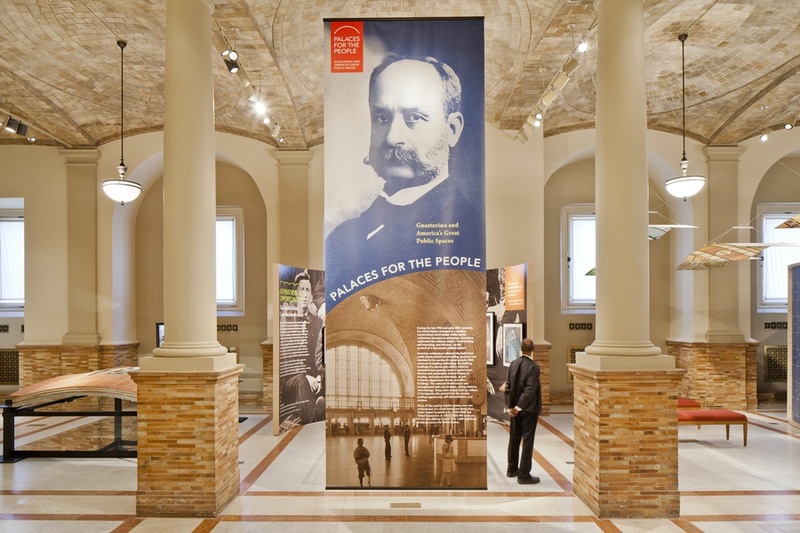 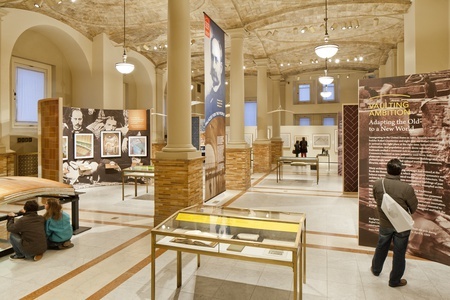 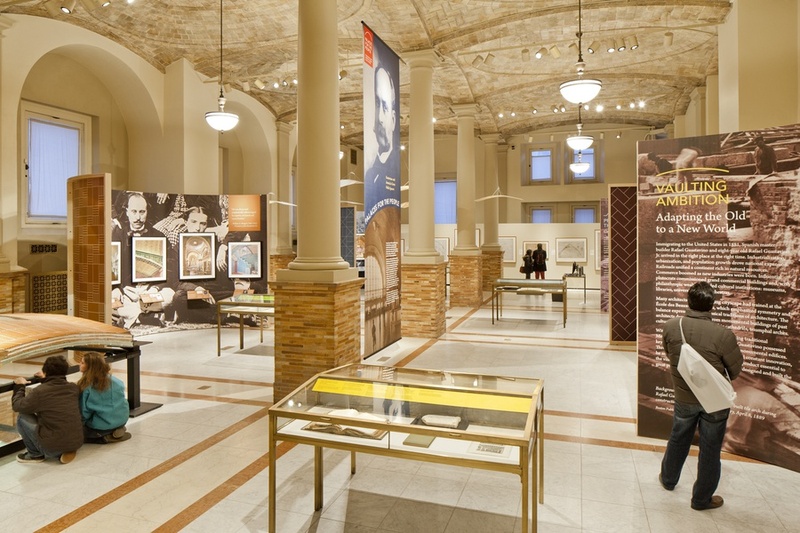 Slated both as an exhibit for the Main Branch’s historic interior as well as a traveling exhibition, Palaces for the People examines many of these architectual spaces and the rapidly changing social conditions that accompanied the vaulted architectural innovation.